Journalist and asylum seeker Behrouz Boochani is detained indefinitely by the Australian government on Papua New Guinea's Manus Island. Credit: Aref Heidari. 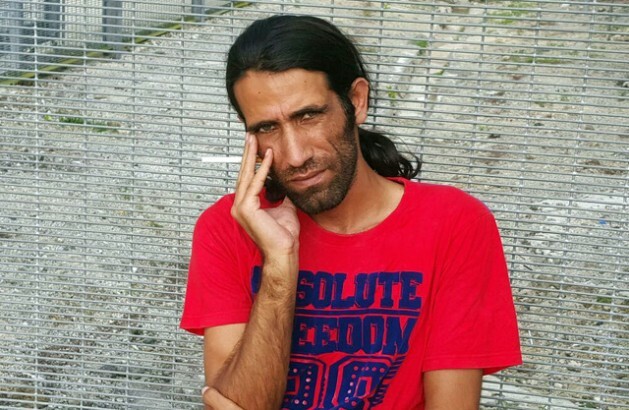 UNITED NATIONS, Dec 29 2016 (IPS) - Despite being locked up in an Australian detention centre on Papua New Guinea’s Manus Island, Kurdish-Iranian journalist Behrouz Boochani has continued reporting – gaining bylines and media attention around the world. Journalism is the reason Boochani was forced to flee his home country of Iran, and – like the other 900 men detained indefinitely on Manus Island – seek refuge in Australia. What has been happening on Manus Island has attracted global condemnation. In May the UN Human Rights Council condemned the detention centre and Papua New Guinea affirmed that it would be shut down. Since then, the Australian government have declared the centre ‘open’, meaning that inmates can come and go freely though they cannot leave the island. Boochani and other detainees have spoken of being encouraged to accept residency in Papua New Guinea, despite attacks on detainees from both local residents and police forces. Returning to Iran, Boochani says, is not an option. Can you correct the link in paragraph 9 which is supposed to link to the UN Human Rights committee declaring the detention centre illegal. It currently links to a UN review of PNG’s response to a human rights report I didn’t see any such declaration about the detention centre by the UN. Thank you – have amended. – Ed.